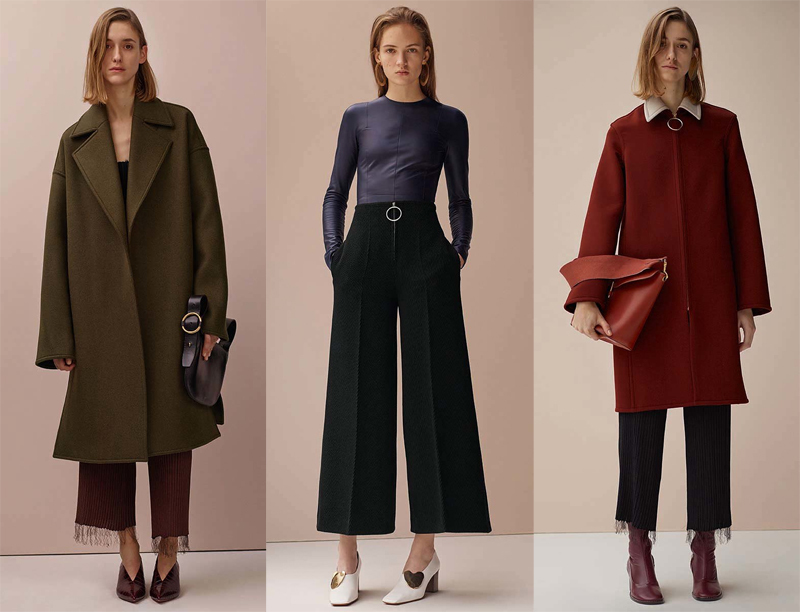 I know summer is just around the corner but Céline’s pre-fall 2015 collection seriously makes me want to hit the fast forward button. The oversized coats, the frayed hems, the gorgeous color palette and as always, the expertly tailored trousers. Phoebe Philo never disappoints! I’ve seen this a couple of days ago, and I adore this collection. I’m a fan of Phoebe’s work, and this is totally representative of what she does. It may be more “classical” than her regular collections, but I find it better. So dreamy! I’m glad to see the 70s influence still going strong into pre-fall! I agree! That striped number and the maroon dresses are lovely! Absolutely ! She is consistent. I was more impressed by Marni this season. Their pieces are divine. And feed my obsession with Japanese aesthetics. Love looking at collections like these! I’m in love with the middle one. This looks fantastic. <3 The oversized coats never lose, and the tailoring is indeed on point! Cool and understated with a great color pallet. too fab. LOVE! Now I can’t wait till autumn (fast forward please)!! Phoebe Philo outdoes herself every season, it’s just insane ! I love how she truly reinvents Céline’s style, and this collection is absolutely gorgeous !